If debt is piling up and you just can’t seem to stay within the monthly budget, it may be time to clean up your spending habits. Creating a realistic budget is one of the first steps to success with managing your finances, but you also need to make sure you’re not falling into some common spending traps and spending money without realizing it. Whether you’re in charge of managing the family budget or are just trying to improve your personal financial situation, taking control of your spending habits can help you reach your financial goals. 1. Make the decision to budget with money you actually have. 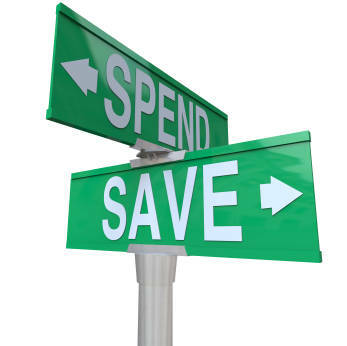 Make the decision to only spend money you have and work with a budget based on your net income. Start by looking at your take-home pay; not your gross pay. It’s your net pay – i.e. your income after taxes, healthcare costs and other expenses have been deducted from paycheck – that that really counts, because that’s the cash you actually have to work with and pay bills. Once you tally up your net income, look at all your expenses and don’t leave out certain categories based on the notion that it’s just a once or twice a year bill. Put everything into your budget. Then look at your spending for the past few months. Have you been spending more than you actually earn? If so, you’ve probably done that by using some form of credit. But don’t rely on credit cards, credit card cash advances, payday loans, or other person loans to get you by each month. Otherwise, you can end up falling into the trap of spending more money than you realize and never really living within your means. 2. Kick emotional spending to the curb. If you find yourself using shopping as an escape from the stresses of life or enjoy the temporary ‘high’ from a shopping spree, you may be living well beyond your means. Break the habit of emotional spending by identifying triggering situations in your life that may lead you to shop. Find healthier ways to self-regulate and manage your emotions so you aren’t fueling a shopping addiction and spending money. 3. Figure out your ‘whys’. One way to keep your spending habits under control and make saving money a priority in your life is to figure out your ‘whys’. Why you spend may be very different from somebody else’s reason to spend. Credit card dependency can create a false sense of financial security and you may end up buying things that you can’t otherwise afford. 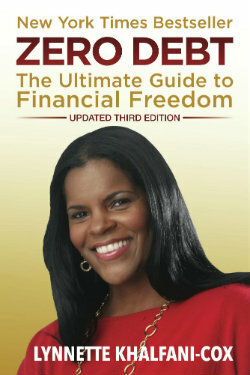 So set limits on credit card spending or eliminate them from your spending plans altogether. 5. Review your budget regularly. Creating and sticking to a budget isn’t a “set it and forget it” process. Take the time to review and update your budget regularly, and also log your expenses to make sure you’re staying within your budget each month. Neglecting your budget can put you on the path to financial disaster in a very short period of time. By consisting evaluating your budget, you’ll also get a more realistic sense of much you are spending on basic expenses and luxury items every month.